No Period But Not Pregnant? And when was your last period before that? Most of you will be lucky enough to have a regular cycle – which is anywhere from 24 to 35 days. Some of you might even be pregnant (yay BFP!) which means a break from periods for awhile. But there will be some of you, and probably more than you think, that either have really irregular periods – or none at all – with no obvious reason (like pregnancy). Not only can this have serious physical health consequences, but the mental stress can be incredibly taxing. If you fall into this category, I wanted to make sure to share a very powerful new FREE resource with you. 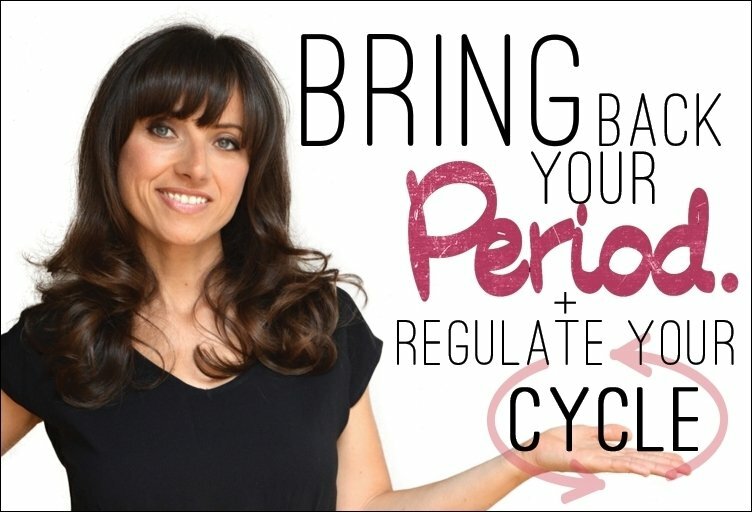 Nicole Jardim, my esteemed colleague, friend and creator of the Fix Your Period series of programs, just released a FREE 3-part video series called Bring Back Your Period for anyone who thinks they may have amenorrhea (which is the medical term for having no period at all) or oligomenorrhea (which is super-irregular periods outside of a 24-35 day cycle). Nicole has spent years learning from top experts in the field of women’s hormonal and reproductive health and her protocol has helped thousands of women all over the world! She can’t wait to share the latest information with you in her free video series Bring Back Your Period. And fyi: Nicole is a genius at breaking down the complicated science into easy-to-understand steps that anyone can implement immediately. You don’t have to continue wondering when or if you’ll ever get your period back OR worrying about the implications these issues are having on your fertility now or in the future. Simply sign up here and get the videos straight to your inbox.